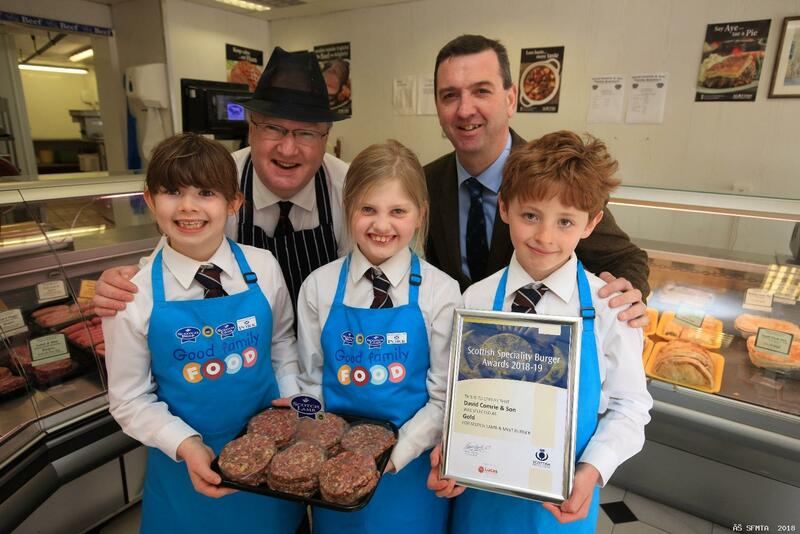 David Comrie and Son butchers of Comrie scooped a gold in the Scottish Craft Butchers awards for their Scotch Lamb and Mint Burger which was designed by pupils in Primary 4 at Morrison’s Academy in Crieff. Inspired by Alexander McCall Smith’s novel – The Perfect Hamburger - the class was tasked with developing the burger recipe as well as creating promotional packaging, a poster and a short promotional video. The finished product was then entered into the prestigious Scottish Craft Butchers awards Speciality Burger category where it was subjected to the rigorous and stringent judging process. Murray Lauchlan, a seventh-generation butcher with David Comrie & Son and former pupil of Morrisons Academy, was thrilled to work with the local children on the project. “As an independent local family run butchers’ business we are always keen to interact with children and young people to educate them on where the food on their plate comes from, and how products such as sausages and burgers are created,” said Murray. Gillian Lauchlan P4 teacher, L Murray Lauchlan of David Comrie Butchers, Bruce McCall of Scottish Craft Butchers, Morven Bulloch head of primary, Morrisons Academy pictured with the Primary 4 of Morrisons Academy. 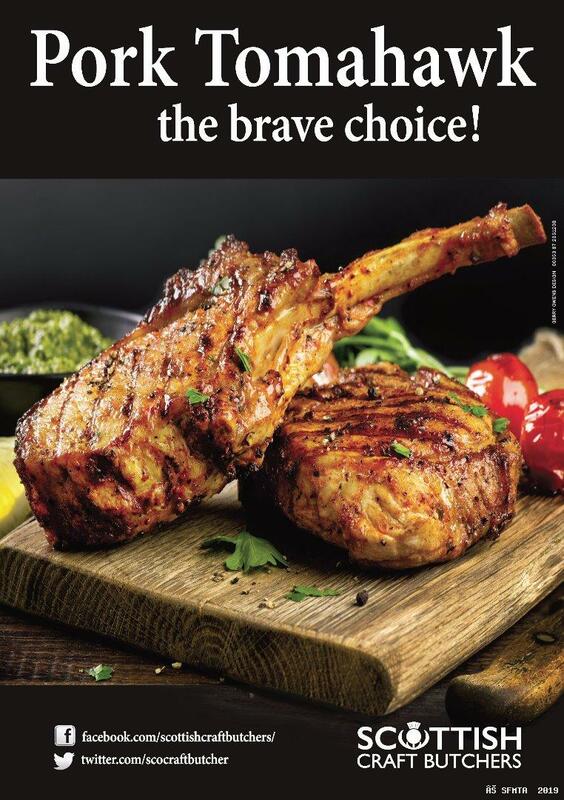 The butchers’ business, which scooped a gold award for their Scotch Beef and Haggis burger and a silver award for their Pork and Black Pudding Burger, prides itself on innovation and community spirit. “At Comrie Butchers we continuously strive to develop processes, test new recipes and create innovative products. Based in the West Perthshire village of Comrie we enjoy lots of support from customers locally, and those who travel to shop with us. All the new burgers are now on sale and customer comments so far have ranged from simply delicious to absolutely wonderful,” he added. David Comrie and Son is also a member of the Scotch Butchers Club, run by Quality Meat Scotland (QMS), and proud to sell Scotch Beef PGI, Scotch Lamb PGI and Specially Selected Pork from suppliers who adhere to the quality standards required by Quality Meat Scotland’s Quality Assurance Schemes. Jennifer Robertson, Health and Education Manager, QMS said It is incredibly important that young people have a good understanding of food production – from field to fork – and the importance of red meat in a healthy balanced diet. “The initiative was an excellent opportunity for Scottish pupils to show off their imagination and creativity and learn more about Scottish red meat production. 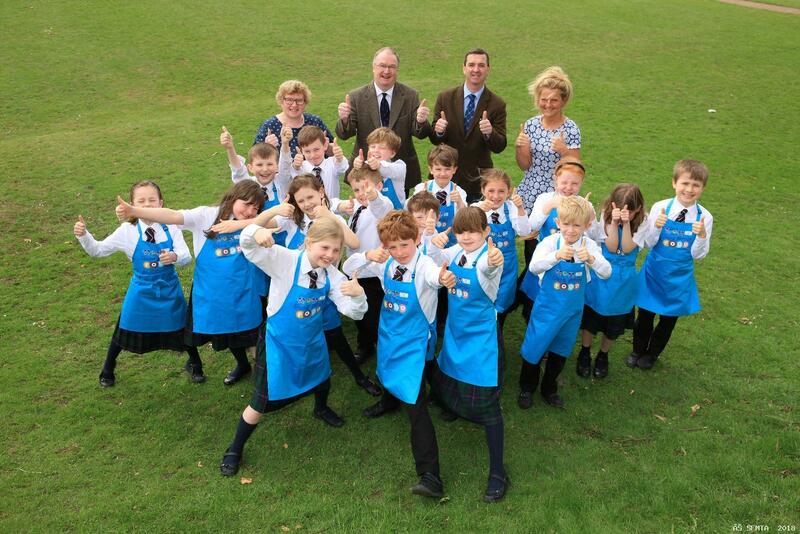 Well done to the pupils and to the team at David Comrie butchers!” said Mrs Robertson. Morven Bulloch, Head of Primary, Morrison’s Academy said that the award-winning enterprise really focused the children on core skills that are essential building blocks to success. “The pupils have developed their teamwork and leadership, listening and presenting, problem solving and creativity skills and really brought the project to life by working in partnership with a local family butcher. “Using the novel ‘The Perfect Hamburger’ by Alexander McCall Smith as a stimulus, the children were inspired to create a perfect burger of their very own. Working collaboratively in companies, the children explored what it means to be enterprising and in so doing developed their abilities as Successful Learners, Confident Individuals, Responsible Citizens and Effective Contributors. “Making our own burger recipes and cooking them brought the project to life and knowing that the burgers are now being made commercially is so exciting. Enterprise is now alive in Primary 4! The children now want to make smoothies, fruit kebabs and healthy ice lollies to sell during the summer months,” said Ms Lauchlan.